Periodontal disease, often called “gum disease” is a an inflammation of the gums caused by plaque that has hardened on teeth along and under the gun line. in it’s mildest stage it is called gingivitis, which left untreated can progress to periodontitis, which can cause significant health problems. When gingivitis is not treated, it can advance to "periodontitis" (which means "inflammation around the tooth.") In periodontitis, gums pull away from the teeth and form spaces (called "pockets") that become infected. The body's immune system fights the bacteria as the plaque spreads and grows below the gum line. Bacterial toxins and the body's natural response to infection start to break down the bone and connective tissue that hold teeth in place. If not treated, the bones, gums, and tissue that support the teeth are destroyed. The teeth may eventually become loose and have to be removed. People usually don't show signs of gum disease until they are in their 30s or 40s. 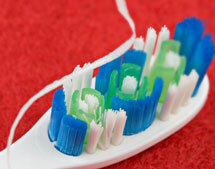 Men are more likely to have gum disease than women. Smoking is one of the most significant risk factors associated with the development of gum disease and can lower the chances for successful treatment. Many prescription and over the counter medications reduce the flow of saliva, which has a protective effect on the mouth. Also, some drugs can cause abnormal overgrowth of the gum tissue, making it difficult to keep gums clean. In some studies, researchers have observed that people with gum disease (when compared to people without gum disease) were more likely to develop heart disease or have difficulty controlling blood sugar. Other studies showed that women with gum disease were more likely than those with healthy gums to deliver preterm, low birth weight babies.